THIS time last year, Madlela S'khobokhobo was the Bulawayo music scene's man of the moment. His viral hit, SaMamo, had been dominating the charts for months and the Bulawayo Arts Awards had crowned him the king of the Bulawayo music scene in their inaugural edition. More awards were to follow and as his acclaim grew, so did his attractiveness to corporate entities. He secured lucrative endorsements, with a deal with telecommunications giant NetOne his most glittering corporate triumph. Madlela was a man who, it seemed, could do no wrong. However, an artiste is only as good as his last hit and it was not going to be long before the naysayers would start questioning whether Madlela would manage to replicate that success. Would he go out like some artistes in the past and get thrown into the dustbin of music history to be forever remembered as a one-hit wonder? Or would he build on the success of that humorous, catchy hit and continue to build on his career? These are questions that are yet to be answered, questions that Madlela constantly asked himself as he made his latest album, Majazana. The seven track effort was released in Gwanda yesterday. "The fear has always been there ever since I made SaMamo," the rhumba artiste said when Sunday Life asked if he was afraid that his new hits would not live up to the expectations set by his most popular tune. "This is because as an artiste you don't know whether people will like a song or not when it enters the market. People choose what they want and you can never be sure whether what you have made in the studio will be to their liking. So at this point I'm just hoping and praying that they will embrace Majazana." Although he had his fears, Madlela said his talent would see him come out on top again in future. "I'm confident in my ability because the talent that brought the people SaMamo is still the same talent that sat down and came up with new music," he said. Madlela said as popular as SaMamo was, it had also put a lot of pressure on him. "We've had pressure to release more music ever since the success of SaMamo. Fans have been baying for an album but we decided to take our time. That's why it took us two-and-a-half years to release this project," he said. However, the musician acknowledged the doors that the album had opened for him. "Before SaMamo people just knew Madlela the actor. Madlela the musician was not as well known but SaMamo changed all that. That song broadened my market and allowed me the opportunity of reaching people I had no chance of impacting with my music in the past," he said. As a result of the song's success, he had even quit his job. "That song enabled me to also retire from my job in marketing. It gave me space to quit my day job and become a full time musician, something that was not possible in the past. It also gave me the opportunity to come back home. This was something that I had wanted for so long but I was really afraid of doing. I didn't even give the possibility of coming home much thought," he said. Moving back to Zimbabwe from South Africa was the best decision he could have made, the rhumba musician said, as it put him in a position to capitalise on his music's sudden popularity. "Looking back at it, coming back home was one of my best decisions. 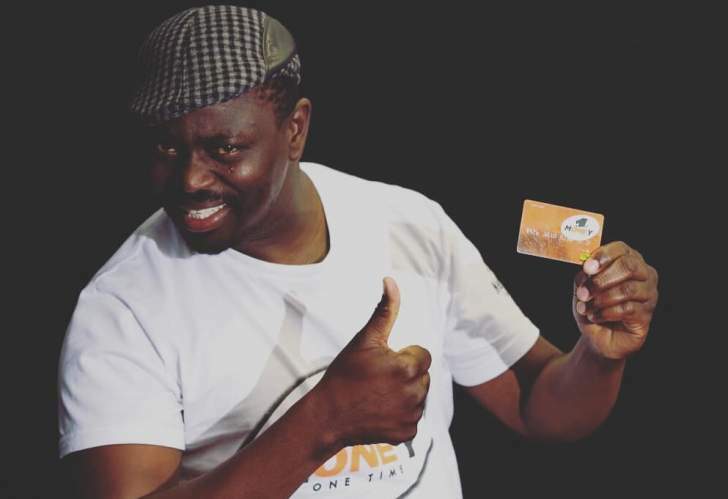 It opened doors like the NetOne deal which was a very big endorsement for my career. When a company as big as that chooses you as their brand ambassador it means that they've got a lot of confidence in your brand," he said. Despite the benefits that he has reaped from that song's success, Madlela is sometimes taken about by his own meteoric rise to stardom. "I was in Harare yesterday (Thursday) and I was surprised that so many people in that part of the country recognise me. I didn't think my face was known as far as Harare, or any part of Mashonaland. When I was in the studio I was also surprised with the way I was treated by other artistes. They were so happy to see me and it was all very overwhelming," he said. Despite his popularity and accolades, Madlela has not been as visible in Bulawayo as some fans might have launched. Launching his album in Gwanda was a clear enough signal of where his heart lies and some may have begun wondering what sort of relationship he has with the country's second largest city. "Gwanda is my home. That's where my umbilical cord is buried so one always finds themselves in that sort of place. One thing about our shows in Gwanda is that our shows are always full. The people have never disappointed. However, we are aware that people in Bulawayo also support us. We're going to do something special for Bulawayo but you just don't rush into Bulawayo. You have to make sure that everything is perfect before you rush there otherwise you'll be disappointed," he said.